Gibson Guitar Corp. has made a strategic investment into Japan’s TEAC Corporation. EAC is a top name in audio and visual equipment, and a producer of data storage equipment and related products. The transaction was unanimously approved by the Boards of Directors of both companies. Gibson has entered into an agreement with Phoenix Capital in which two investment funds operated by Phoenix Capital have agreed to sell to Gibson all the shares they own in TEAC Corporation, or 157,447,000 shares, (54.4 percent) of the issued and outstanding shares), at a price agreed between the parties of 31 JPY per share. As this will result in Gibson acquiring over one-third of TEAC, Japan’s Financial Instruments and Exchange Law requires Gibson to undertake a tender offer process. Thus, Gibson will make an all-cash tender offer to purchase 157,447,000 shares of TEAC common stock for 31 Japanese Yen per share in cash. Gibson will purchase a maximum of 157,500,000 shares. The tender offer period is scheduled to commence on April 1, 2013 and will remain open for 21 Japanese business days. Upon completion of the acquisition, TEAC will become a member of the Gibson family. 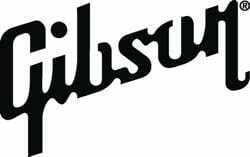 This will not only expand the size and reach of Gibson’s Pro Audio business, with products that both complement and build upon the KRK, Cerwin-Vega!, and Stanton portfolio of world-class studio monitors, sound reinforcement equipment, and DJ gear respectively, in addition to the premium consumer electronics of strategic partner, Onkyo Corporation (“Onkyo”), but also in future product development, has the potential to add value to the Gibson MI segments, and even with the fretted instrument category. TEAC is recognized for high grade audio through its Esoteric brand, including multichannel recorders, handheld recorders, and Apple iOS devices, with growing opportunities in mixers and computer audio interfaces. Furthermore, TEAC introduced affordable multi-track recording, a technology invented by Les Paul, whose namesake Gibson guitar has established itself as the most coveted electric guitar. TEAC’s product lines range from industrial data acquisition and storage, high-end audio, disc publishing, medical video, and broadcast into a broad-based consumer market through their TASCAM division. The company’s leadership in multichannel recorders, sound contractor products, field recorders, audio interfaces, and more has resulted in breakthrough products like the self-contained Portastudio that includes all elements needed to produce professional-quality recordings while retaining a consumer-friendly price. The implications of integrating these diverse elements into the Gibson family of brands are far-reaching, and further enhance Gibson’s diversification into the lifestyle arena. This transaction represents a significant commitment and investment into Japan by Gibson. This is the second transaction Gibson has made in Japan. In January 2012, Gibson announced a strategic alliance with audio company Onkyo, where both companies made investments into each other. The size of this TEAC transaction – one of the largest Gibson has pursued – reflects the high level of confidence of the board and senior management in the Japanese market, and recognizes the technical and engineering excellence of one of the leading trailblazers in the specialist audio industry in Japan. Post-closure, TEAC will remain a listed company on the Tokyo Stock Exchange’s first section. The company will continue to be led by the current management. Commenting on the transaction, Henry E. Juszkiewicz, Chairman and CEO of Gibson, said: “We are delighted to welcome TEAC and its talented employees to the Gibson family. We have both known each other for a long time and share a vision for the future: bringing together world-class engineering and technical innovation in the audio space with the world’s premier musical instrument manufacturer, and the capability to market music innovation on a global scale. “Gibson is a strong believer in ‘Cool Japan’ and together with TEAC, we look forward to not only contributing to the global understanding of the ‘Cool’ products emanating from Japan in the music area, but also promoting the excellence of Japanese innovation in the industry,” Juszkiewicz continued. –Operational cost synergies that allow both TEAC and Gibson to leverage back-office costs across its selected segments within the United States. Macquarie Capital Securities (Japan) Limited is acting as financial advisor to Gibson and Baker & McKenzie LLP is acting as legal counsel. Citi Yuwa is acting as legal counsel to TEAC. SMBC Nikko Securities is the tender offer agent for this transaction.